Working closely with CBRE’s Residential Agency and Planning teams we were commissioned to help prepare a design approach and development brief on the site of the former soap factory, and for their client, PZ Cussons. This work then formed the basis of an Outline Planning Approval that enabled CBRE to take the scheme to market. 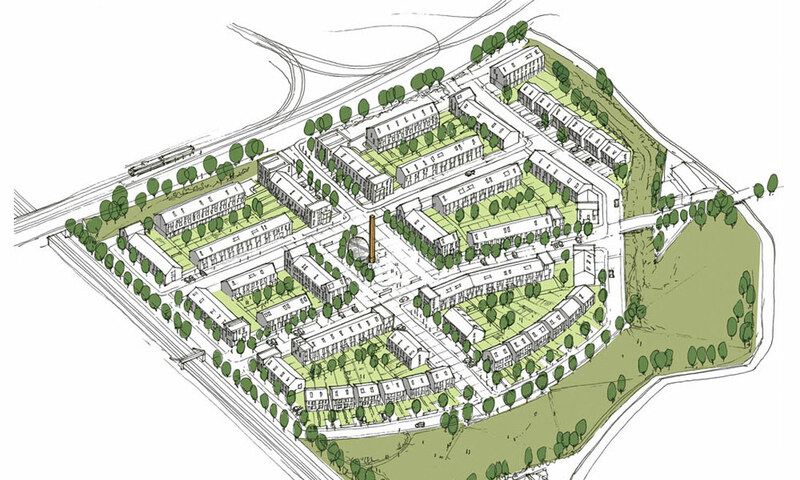 The masterplan creates a positive response to the heavily constrained site, overcoming the issues of contamination, historic below ground infrastructure, flooding, public footpaths, and noise from the adjacent railway line. 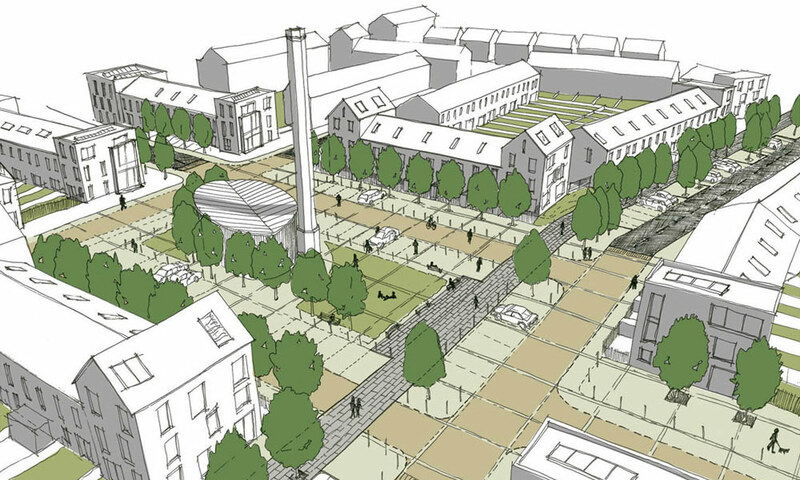 At the heart of the proposal is a public space that has a historic chimney as its centrepiece. 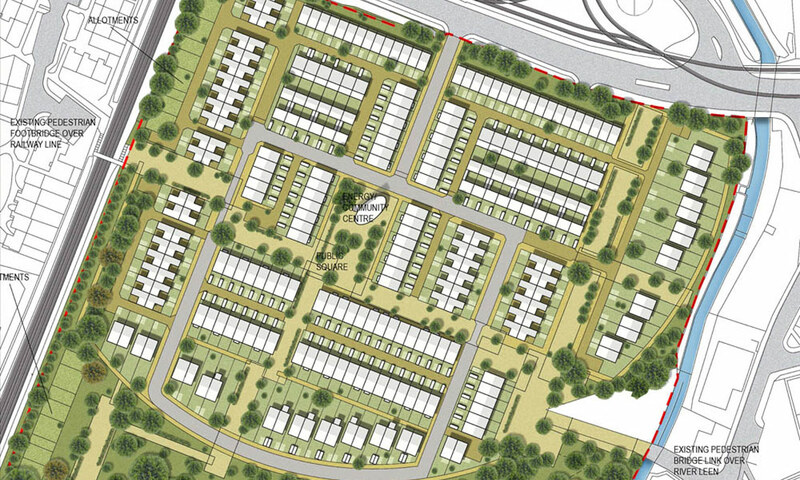 This helps give the site identity, and the scale and location of the site also help to give this site the opportunity to deliver a high quality residential district. The site is also ideally located to the Wilkinson Street tram halt, allowing residents to commute with ease into the city centre.